Live video streaming offers plenty of benefits for B2B companies. It is the best way to enhance user engagement and build viewership. There are several platforms available for live video streaming. However, before you put your content online, you need to understand where your audience is present. Always try to do live streaming on platforms where your audience is already present rather than asking them to join you on a new platform. Here is a list of some popular online video streaming platforms and how one platform of video streaming technology differs from the others. We all know about Facebook, as it is one of the most popular social networking website today. 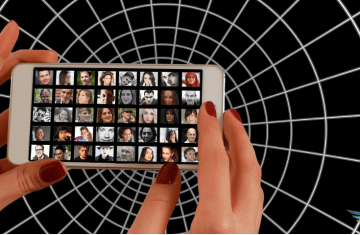 The viewership that you get with Facebook is vast, and you can always control who watches your live video streaming, the locations it should be active in with features like geotargeting. You can also shoot your video streaming on mobile and make them go live from there itself. Facebook also plans to introduce advertising in live streaming that will help monetization. One can deem that YouTube as the King of video streaming. Many people look out for online video streaming on YouTube. Several advertising groups are already using this platform for video advertising and organic videos. YouTube provides a “watching now” option for their uploaded videos that gives the marketers and advertisers insight into how many people are watching their data and how much traffic it is generating. You can preview your video before finally publishing it to see how streaming on the internet will look when your audience sees it. Like Facebook, it also provides you the option to control the privacy of who watches your video. You can also find the detailed metrics related to your online video streaming with the help of YouTube analytics. This online video streaming platform allows streaming of videos 87cfyour Smartphone. Periscope introduced by Twitter in 2015 is a broadcaster and can easily interconnect with Monetization. It gives you the advantage of promoting your videos via Twitter and the stream is available for the next 24 hours for people who might have missed the live streaming. Periscope being new in the market has been trying hard to compete with Facebook and YouTube by introducing unique features. For example, it allows brands to connect with live video streamers for sponsored streams. They are also working on determining how efficient pre-recorded videos will be in live videos. Before focusing on converting your potential customer, there are certain things to keep in mind to exhibit the streaming on the internet. People watch content that offers valuable information. If you are promoting a service or a brand, you should share information that people are interested in. It will keep their interest intact and keep them engaged in your video and hence your product. You can always analyze your Facebook page, blog post comments and other data from social media channels to understand what your audience might be interested in and then accordingly frame your content. Video streaming technology is a good idea to keep your audience posted about your future broadcasts. 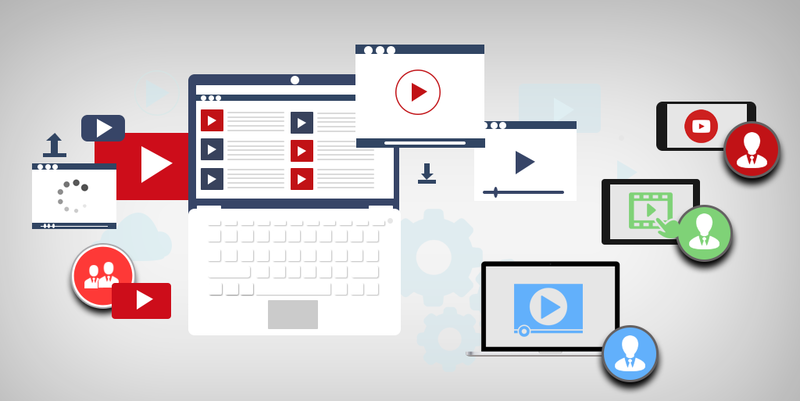 You can make use of email marketing, social campaigns, and other marketing strategies to let people know when you will be airing your live streaming . It increases viewership and popularizes your brand. The whole point of a live video is to see things as they happen in real time. It should create a vibe that focuses on an informal conversation with the audience. You should not leave an impression where your audience feels like you are reading a script or a pre-prepared monologue. These are just the most basic things that you should keep in mind when you plan live streaming. However, you need to understand that it takes time to build a social platform standing. You might not be able to lure customers in the first go but gradually things will get fine-tuned, and people will soon be a part of your platform. Well – written article! I was always interested to know more about the videos, which plays a significant role in driving most of the customers. I like this blog so much! The section on live streaming is very insightful and I think it is necessary for a marketing strategy today. The effect of customer engagement can be enhanced easily by the use of a live video. These videos can easily convert a visitor into a customer. Videos are playing a significant role in driving most of the customers. Thanks a lot for updating the article! Videos are beneficial in converting first-time visitors to customers and increasing the customer engagement level among the visitors. Thanks for the exciting post! Customer engagement has taken a new turn with live streaming videos on social media platforms. These videos are beneficial in converting first-time visitors into customers. Live videos are the best way to make your audience feel involved and engaged. I have never seen any response as great as live videos, all of this is possible due to the large audiences we can connect with via Social Media.